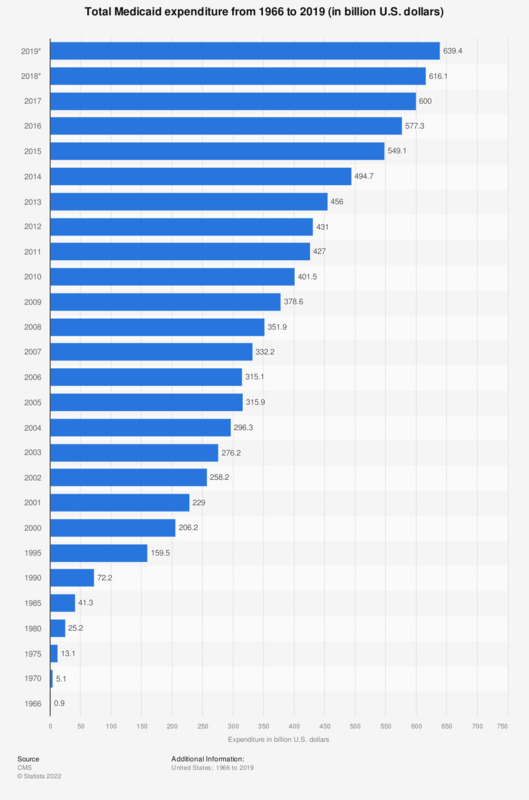 This statistic depicts total Medicaid expenditure in the United States from 1966 to 2018. In 2009, total Medicaid expenditure was 378.6 billion U.S. dollars. In comparison to that, expenditure stood at some 206 billion U.S. dollars nine years earlier.